Looking for real estate in Blenheim or the Marlborough area? Homes, lifestyle, rural, commercial or investment - you've come to the right place. If you have a property for sale, property to manage or looking for a property to purchase or rent, contact one of our team today. 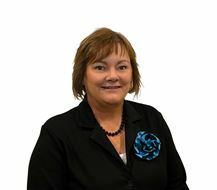 Chris' career in real estate started in 1992, and during this time she has seen a lot of changes. 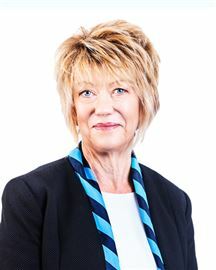 Chris began her real estate career in Administration as Receptionist and also managed the Rental Portfolio for the Company. She then moved into the Role of Personal Assistant for one of Marlborough’s Top Sales Agents. Then into sales herself she has had a successful sales career for over 10 years. These moves have meant Chris has become very systems orientated and client focused and ensures she has all the up-to-date statistics in the current market place. Chris' philosophy on client service is the key to her success. 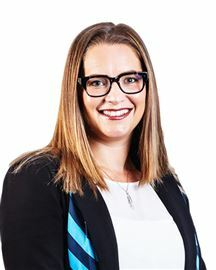 She believes her clients want to work with someone who has a straight-forward, honest manner and who can give informed and knowledgeable advice. "When I communicate with people I take a very direct approach". "Success in real estate comes through personal communication and making that connection by establishing your clients needs and expectations up front. First by listening and then by delivering''. With over 25 years in the Industry under her belt Chris has now moved into Management and Business Ownership. "I guess I have finally earned my stripes"!! Still finding time to up skill Chris has completed her Branch Managers license and also her Agent License, awarding AREINZ status. On a personal level: Chris is married to Dean and together they have two adult daughters. Toni, living in Australia and working as a Radiographer and Jess, living in Brisbane with her husband Luke, working as a Digital Content Strategist with RACV. Mark successfully took over the family business in 2003 and today runs an award winning office in the heart of Marlborough. He has a dedicated team of salespeople, property managers and administrators who themselves are all top performers in the industry. Mark passed his agent's licence with distinction through Massey University and was rewarded with a business management trip to Disney World. The lessons learned about building a great culture with outstanding customer service are key principles in his business. Today the business enjoys a fantastic reputation and is backed up with a great market share. He is very proud of his team. So often the success of a sale can be measured by the agent you choose - it’s a big decision. You want an agent that is going to add value to your property, through superior marketing and a genuine passion for achieving the best results possible for each and every client. That’s where I come in. Aaron Flowerday is my name. I’m a big believer in this wonderful Marlborough province and everything it has to offer. I have a background in property development, marketing, viticulture, gourmet food and local cuisine as well as an inherent affinity for interior design. I have found this diverse experience translates well to the local real estate industry providing me (and in turn you) with valuable networks and a wealth of information and advice. I liken myself to a permanent material home - reliable and steadfast. As the proverbial bricks and mortar in your property pursuits I am committed to making your real estate journey as enjoyable and easy as possible. I’ll put in the hard work so you don’t have to. A new fresh approach but by no means new to Real Estate, boasting 6 years of experience as a buyers Assistant as well as a letting Agent in Property Management. Bailey has the Knowledge and confidence to guide her clients through their journey in any real estate decision they make. 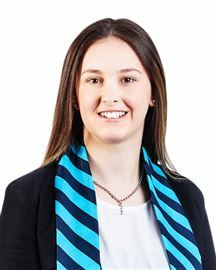 A born and bred Blenheim girl, Bailey has a warm and enthusiastic approach when meeting her clients needs, listening and working with them to achieve the best outcome. Bailey understands the demands of balancing family and work life and will always go out of her way to arrange viewings and meetings to fit around a clients schedule. Being a young professional in Real Estate is a huge advantage, and Bailey has all the energy and drive to work hard for every one of her clients. Taking pride in the service she gives and happy to go the extra mile, Bailey is dedicated to the task with a ‘can do’ attitude, and a genuine passion for the region and what it has to offer. Originally from the UK Ben relocated to Blenheim to begin a new chapter of his life. Since arriving in 2011 he has been thoroughly interested in Real Estate. 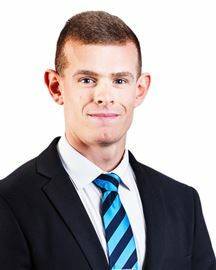 Prior to joining the Harcourts Team, Ben successfully owned and operated his own business. Constructing a positive reputation, remaining focused, and obtaining the need to succeed are a few of the attributes he possesses. Through the operation of his own business, Ben learnt and strengthened his knowledge of marketing with in this day and age. Technology is where he excels, however Ben also knows that not all clients are tech savvy. Therefore being creative and quick thinking he is able to relay new and more unique marketing ideas to help you within your real estate journey with him. 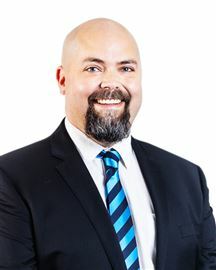 Ben has an extremely welcoming personality and has boundless passion and energy that he can channel into making your real estate dreams a reality, offering “reliability and integrity all the way”. Communication, results, drive and hard work all contribute to Ben’s successful real estate approach that is second to none! Ben grew up on a farm in Marlborough and learnt from an early age that big efforts bring big results. As a qualified graphic designer and someone who has worked in the building industry, Ben brings a creative edge and eye for detail to the property market. Ben has the skills to listen to what his clients want and gets a real kick out of helping people make their vision become reality! If stress free results is what you want, Ben is your man. Ben lives in Blenheim and is Dad to his three young daughters. He chose to move back home to Blenheim, as he truly believe the community has everything they need. His hobbies include a range of sports; in 1997-2003 he was a Marlborough rep in rugby. He loves having the outdoors on our doorstep, and gets out and about as much as possible. Ben fits into the Harcourts team very well. With many years experience working for Professionals in Wellington, he already has a healthy track record of great results and NZ awards. “I am excited about contributing more to the community and helping my potential clients get great results,” says Ben. “I will listen to what you want and work to make it happen!” Ben offers FREE trailer hire for all his clients, contact Ben today if he can help. Cripes! My very first clients bought their house from me 17 years ago. Since then they have bought and sold various properties and I have been fortunate to have been with them all the way. In fact what started as a business relationship has evolved into a delightful friendship. And that is the way I have worked from day 1 and it’s what takes real estate from a pretty neat occupation to a level where I get a thrill encountering clients over the years (read: friends)– hearing about the latest news, what the children are up to, who has married who... Interestingly my time in real estate has also been a time of great change; markets climbing then falling and massive technological advances in leaps and bounds. The funny thing is my approach hasn’t changed. It may sound corny, but I am firmly entrenched in the old school mantra of “people count above all else” so my professionalism reflects this simple premise: real estate is about people - their relationships, their changes, their dreams. And as auctioneer for Harcourts this is an ideal complement to my business. Harcourts and auction go hand in hand so picking up the gavel has meant not only a greater belief that auction is one of the best methods I can offer to assist my clients to sell their home, but also I admire its transparency that buyers and sellers alike demand to see more and more. After years of selling houses in Eastern Christchurch – one of the toughest markets in New Zealand – I’m finally home! I want to give my two-year-old daughter Adriana the same opportunities I had growing up here. Boating in the Sounds, amazing golf courses, excellent theatres, quality schools, plenty of sunshine, and being closer to her grandparents. Let’s be honest: there is no better place to raise a child anywhere in the world and I am delighted to be home. Selling your home can be stressful. My role is to make the process as easy as possible. There are a couple of ways we do this. The first is by communication: daily phone calls, weekly reports, and a weekly sit-down face-to-face meeting where we can identify any issues that need to be addressed during the campaign. You will always know exactly what’s happening every step of the way, and I operate on a ‘no surprises’ policy. The second way is by breaking down any buyer barriers. Three 45-minute open homes per week is standard – this helps ensure that all buyers in your price category can attend your open home. Being structured in my approach ensures that all information is available to interested parties right from Day One. Take advantage of the lessons I’ve learned selling homes in Eastern Christchurch and Sell with Searle! When you think about buying or selling your home, the little things count as much as the big things. There should be no guesswork involved ... transparent systems used ... great communication always ... and an agent who values you and your family. Blenheim born and bred, a young home owner, energetic hockey player, vivacious work colleague and licensed sales consultant. 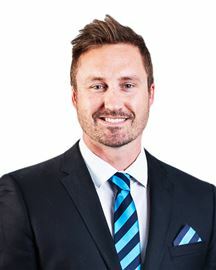 My extensive real estate knowledge comes from three years of administrative roles within Harcourts including marketing & photography and more recently as Sales Assistant to Craig Searle. I know this business inside out and offer the complete package! With strong family values and personality plus ... look no further for the ultimate experience in customer care when buying or selling your house in Marlborough, I’m your local to call. With a previous background in hospitality and business ownership, Martin has a good understanding of working with people combined with strong communication skills and a calm professional manner. 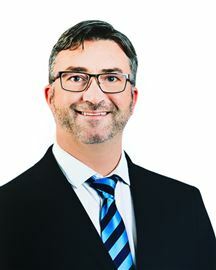 Martin has a hard working attitude couple with a high degree of professionalism, both relevant attributes required for the real estate industry. A relaxed approach with plenty of smiles and laughter will assist in making the process of buying and selling less stressful and as enjoyable as possible. 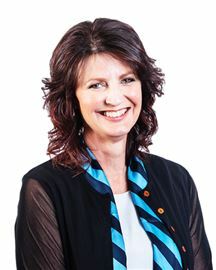 Rhonda burst onto the Real Estate scene in 2007 after moving from the West Coast and a successful career in Paediatric Nursing. Her family's background in horticulture, agriculture and aquaculture made the move to Real Estate (including rural property sales) seem like a natural career progression. Being heavily involved in many community activities has allowed Rhonda insight into all areas of Marlborough and its surrounds. She's as much at home creating supper for the cast and crew of the local repertory production as she is on the sideline of the Marlborough Boys College 1st XV matches. Intuitive, enthusiastic and thoroughly approachable, Rhonda thinks outside the square and will match you to your future property. 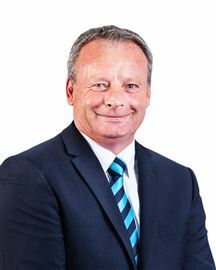 Ross’s career in Real Estate started on the 10th April 1985 working for Stock and Station Companies in Marlborough selling residential, bare land/farmlet sales, commercial/industrial leasing and freehold investment properties. In partnership with a close friend he ran a very successful Real Estate company for over 7 years selling all types of residential/ land and commercial properties and managed a rental roll. 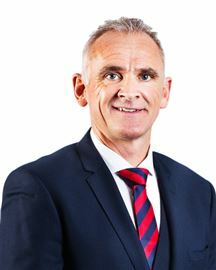 Ross became a Branch Manager in December 1996 adding another string to his bow. He joined Harcourts in 2005 mainly because of Harcourts profile and its reputation of being a progressive company in the community, its international brand and the ongoing training for staff which flows on to give our clients the best level of service and advice, our aim is to “Create Clients for Life.” Ross specialise’s in commercial/industrial leasing and as a result has a good level of expertise and knowledge in that market segment. Married to Lesley for 43 years they have 3 children, and now enjoy having 2 grandchildren. 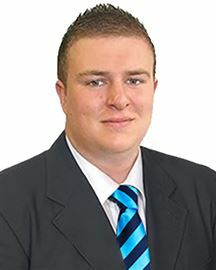 Ross has previously been involved with Jaycees, School PTA’s, Scouts, Marlborough Tennis and is currently a member of the Lions Club of Blenheim, the Marlborough Caravan Club and is President of the Redwoodtown Wine Club. His interests are in the outdoors, he is mad keen on all types of fishing, tramping, boating and motorhoming. 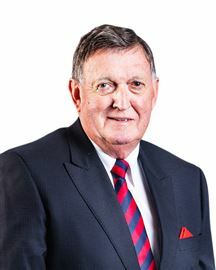 Ross was appointed a Justice of the Peace in 2002. He continues to enjoy the business of Real Estate, the people he meets and the satisfaction of a job well done. 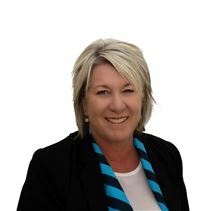 Keeping it Real Estate Locally born and raised in Marlborough, Tanya brings with her a wealth of local knowledge. She has spent a combined period of over 10 years working in real estate and sales management, and comes from a marketing/advertising background. 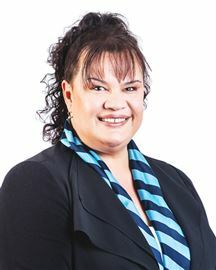 Tanya’s passion for property has brought her back into the industry. Historically she has invested in properties, developed properties, built spec homes and bought and sold numerous properties over the years. From that she has gained an extremely good understanding of the entire sales process from both a buyer’s and seller’s perspective. 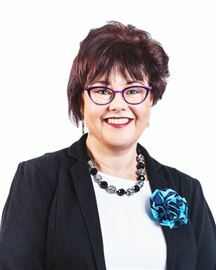 Tanya’s unique, refreshing, innovative and highly effective marketing skills have seen her achieve extraordinary results for many of her clients in the past. 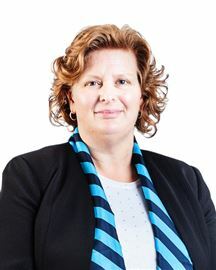 She strives to do the very best for her clients through personalised service and continuous communication, and is absolutely dedicated to achieving a successful outcome. If it is results you want then look no further, Tanya looks forward to talking with you, whether you are looking to buy or sell. You won’t be disappointed! "Opening more doors each day” Is outstanding customer service, open and honest communication and results delivered in a straight forward fashion important to you? It’s important to me! 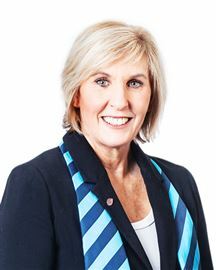 Trina Nichols, Harcourt’s Residential Real Estate Agent, I specialise in residential sales and am supported by a very powerful local sales team of 22 members who consistently achieve top results in regional sales and deliver spectacular results for their clients. 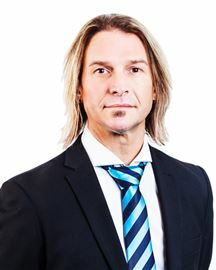 With over 25 years’ experience in the banking industry working as a personal banker, commercial banking associate and branch manager, I know how important excellence in customer service, open communication and delivering results is to my clients and am ready to go that extra mile for my real estate clients. Married for 28 years to Gavin, a former New Zealand Police Officer and current owner driver for Mainfreight together we have two adult children and two beautiful little grandsons. 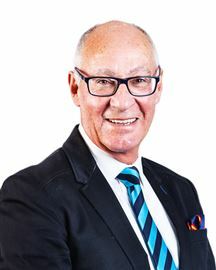 Gavin and I have owned and operated businesses, developed a vineyard and brought and sold properties in Marlborough, Wellington, Westcoast and the Wairarapa, so I am no stranger to real estate; residential, rural and commercial. Life experience and local knowledge really counts. I have both in abundance. I’m ready and waiting to open new doors with you. The Real Estate profession requires successful sales consultants to be dedicated determined achievers. I have consistently been one of the top Salespeople in Marlborough for the last nine years, and have built a trustworthy reputation in the area. I have a down to earth approachable style and listen to the needs of my clients, making it a priority to keep them well informed and to always be contactable. Having been a vendor myself a number of times, I have a strong appreciation of the need for honest, reliable agents who are committed to their vendors’ best interests, and I have a “straight up – no bull” philosophy which my clients appreciate in their decision making. My marketing expertise ensures that no stone is left un-turned and my sharp negotiating skills are geared to achieve ‘top dollar’ for your property, quite simply, that is my focus. My commitment is to provide excellent service to my clients, and as a self-confessed “work-a-holic”, I have the drive and professional competence to get you the results you require. On a personal note, what drives me is my passion for wildlife, conservation and humanitarian issues. I have travelled extensively overseas undertaking volunteer work for a number of organisations, including the Orangutan Foundation International and Animals Asia. These projects have taken me to Indonesia, China, Tonga, Thailand and several visits to different African countries. Generally my volunteer work is in isolated locations, and “very hands on”. When you list your property with me, you will have my dedicated attention throughout the selling process, plus you will also receive the full backing of the Harcourts Team who will join me in striving to achieve the best possible outcome for you! 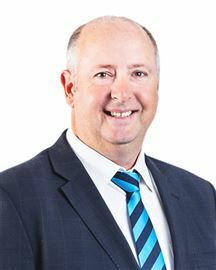 “I saw an opportunity to grow a strong rural team, going the extra mile and offering sound business advice” No stranger to agriculture and business, William spent the last 14 years as Commercial and Agricultural Manager for ANZ connecting both buyers and sellers in the agriculture sector. 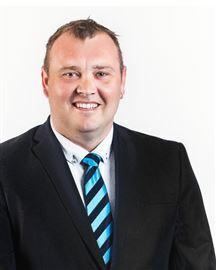 He now brings his expertise and commercial nous to the Rural team at Harcourts. Will was raised on farming, which he says instilled some good old fashioned values. These values saw him nominated then elected as a Justice of The Peace in 2012. So why the move to rural real estate? “I saw an opportunity in the rural real estate sector, to grow a strong rural team, go the extra mile and offer sound business advice. I have a strong network of both buyers and investors that I look forward to working with, alongside a strong brand and an experienced team, in this new role”. 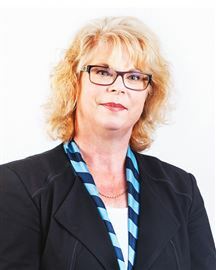 Lavina has extensive experience in property management and the finance industry. She has a strong focus on supporting her team deliver an exceptional level of customer service. Lavina fully understands the necessity for compliance in this industry and ensures her team have the skills and training required to successfully manage their portfolios. If you have an investment property and are looking for a talented team to manage it for you, Lavina would welcome the opportunity to talk to you. 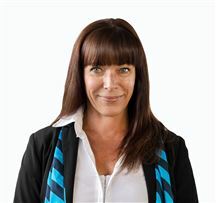 Amy is a licensed Sales Consultant assisting Bev with listings and specialising with marketing and technology and general administration support. With a young family, Amy's part time contribution is valuable and she is a very capable cover when Bev is away. 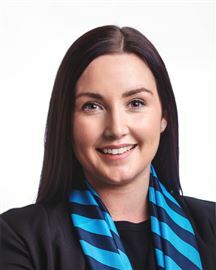 As a licensed Sales Consultant, Bronwyn assists with buyers to ensure they are kept up to date with all new listings to give them an opportunity to view suitable properties as early as possible. 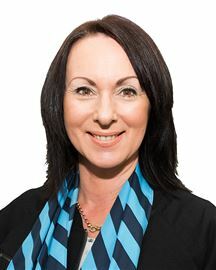 She achieves many successful sales and is highly respected by her clients. She also ably assists Bev with vendors and managing listings as they come to the market. 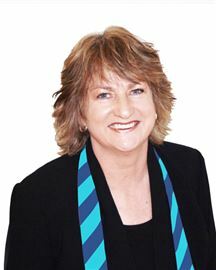 Experienced in all aspects of the real estate market Bronwyn is a true asset to Bev's team. 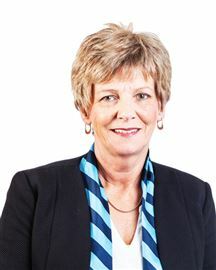 Gail joined Harcourts in December 2017. 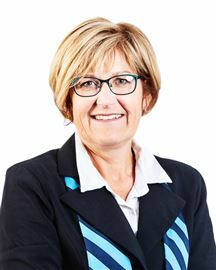 With many years’ experience in the administration field Gail has been a great addition to the finance and administration team who look after Blenheim, Kaikoura and Nelson. 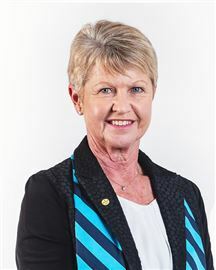 With the Anti-Money Laundering legislation coming into force for Real Estate Companies in January 2019, Gail has been appointed the AML Compliance Officer for Harcourts Marlborough. 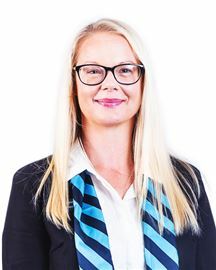 Irene joined Harcourts in 2005 and has worked in the administration area of the business and as a result has a great background knowledge of the company. After undertaking extra training, Irene now looks after the Financial Team which manages the processing of contracts and sales deposits (among many other tasks) for the Blenheim, Kaikoura and Nelson teams. 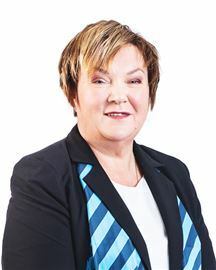 Kathryn began work at Harcourts in June 1997, in those 21 years of service she has worked in all areas of administration from reception, finance, personal assistant to sales and property management and marketing. Her main focus now is photography. 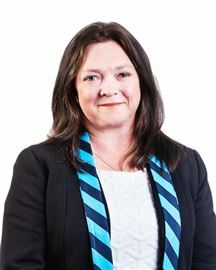 Tracey joined Harcourts in 2007, she has worked in most administration areas of the business and as a result has a vast knowledge of the company. 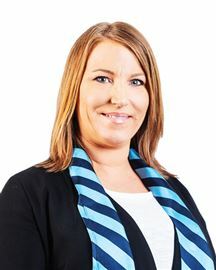 As Office Manager she is able to provide key support to the management team, staff and agents. Make An Offer - Motivated! Start Right Here, Right Now! Tidy Unit, Close To Town! First Home Buyers Act Now! Slip Inn to This One! South Bound Owners say SELL! Section must be sold - NOW! Change of Plan - Must Sell! Owners Building - Must Sell! Vendor Has Moved On! Act Now! The Race Is On! Don't Be Last! All Time High - Motivation! Be quick, only one week left! Investors = Great yields here.